It looked just like the Philippines, a little bit like Vigan. I told my friend that I was not impressed, not that it was not a beautiful place, just that it’s hard for me to appreciate a nation that is geographically similar to my country. When I leave my side of the world, I want to be amazed, I want to be curious, and see something different. I know though that despite the many similarities, Malaysia is not the Philippines. And so I tried my best to get to know it in the little time that I had. 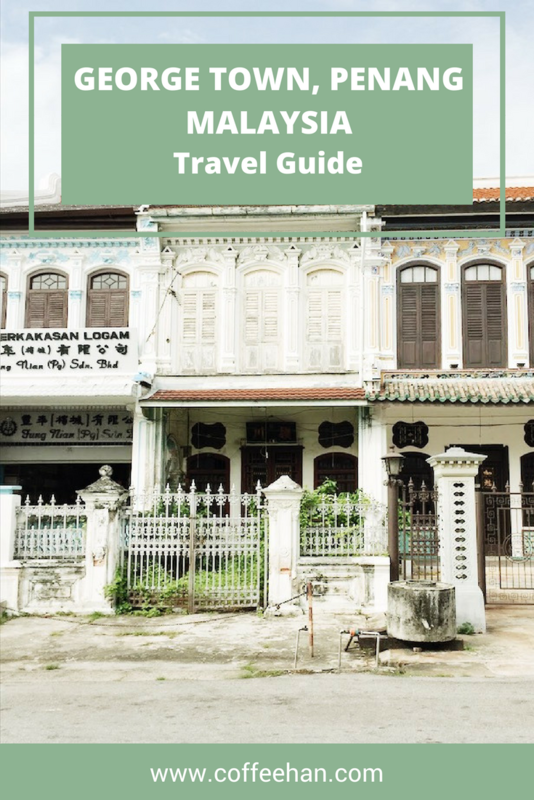 If you too are planning to go to Penang but only have a short time to spare, here’s a travel guide to George Town. George Town is the capital city of Penang in Malaysia and that was once among the British settlements in Southeast Asia. The city is a UNESCO World Heritage Site due to its architectural and cultural townscape. All over the city, you will see pre-war buildings, perfectly melding in the modern times. 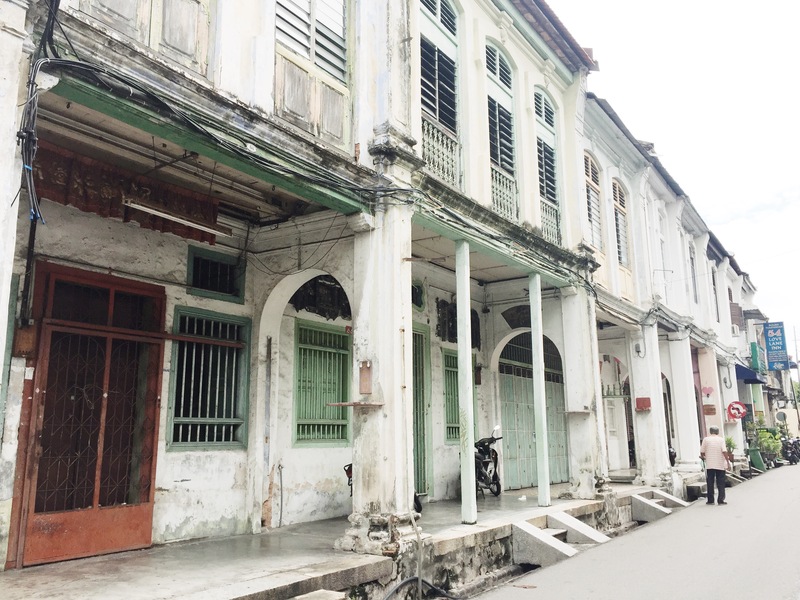 George Town, Penang is a city of the past and the residents and businesses understood this well. 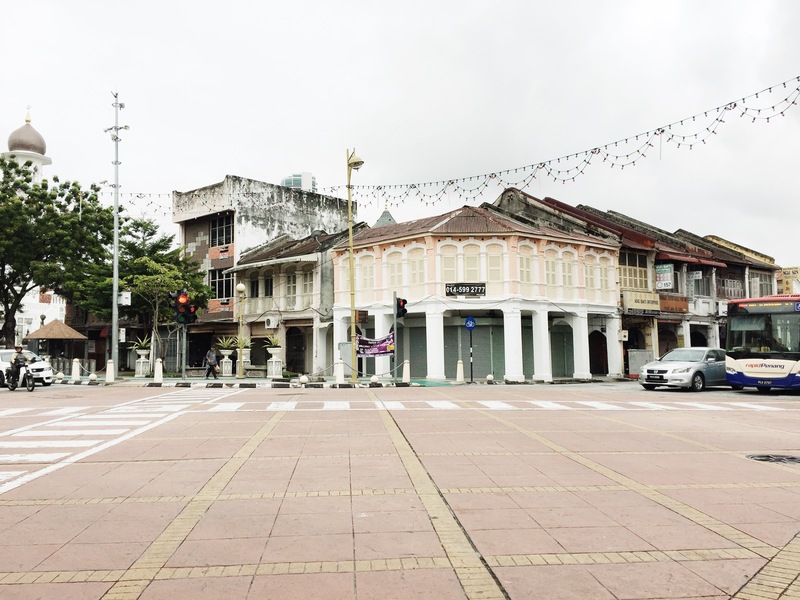 Thus, the town has pretty much retained its old charm as the people have made an effort to preserve the town’s colonial-era look. The first order of business is to get yourself to Malaysia. 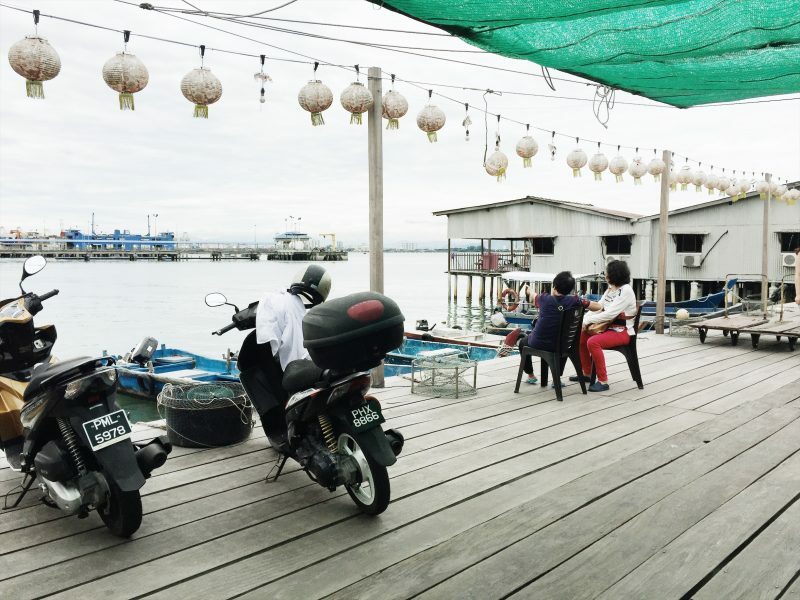 From there, you have two options: take a domestic flight to Penang or take a bus or a train. I did it by plane [Read: 5 Flights, 3 Airports: the horrors and wonders of flying]; flew to Kuala Lumpur then another flight to Penang. From Penang International Airport, I took an hour-long bus ride to George Town. Alternatively, from Kuala Lumpur, you can go by train. KTMB has daily trips to Butterworth; travel time is 6 hours. From Butterworth you may take a ferry or a taxi to the island. I suggest that book a Grab or an Uber instead, may cost you around RM 20 (₱305.29 – $5.90) but it would definitely save you a lot of time. 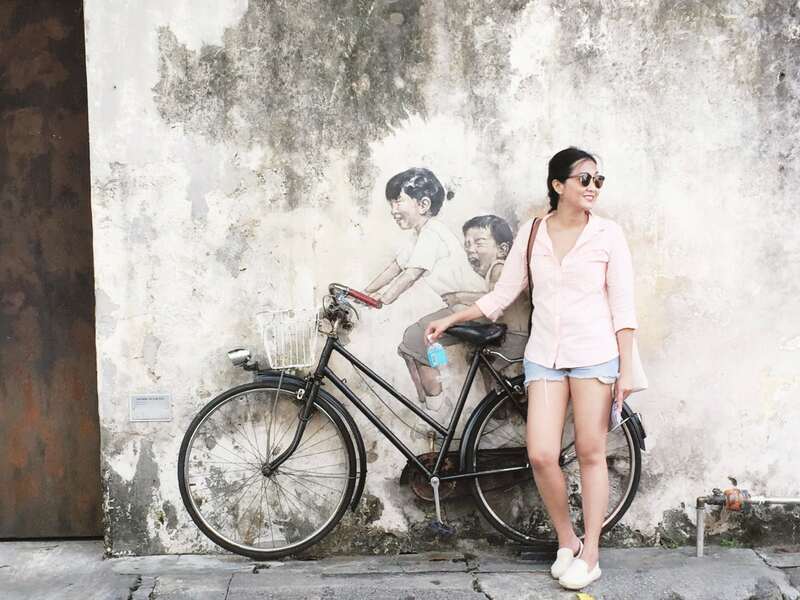 For more information on how to get around Penang, you may check out this link. 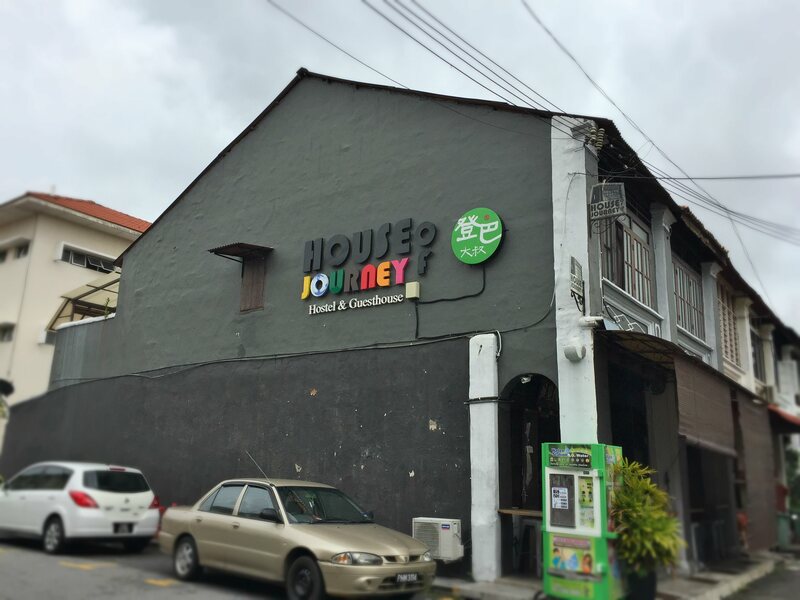 There are many hostels in George Town, one of which is House of Journey Hotel & Guesthouse. The rate is cheap; only MYR 40 ($9.40 – ₱483.58) per night in a 6-bed dorm room. The deal comes with free breakfast. Click here to read my review. 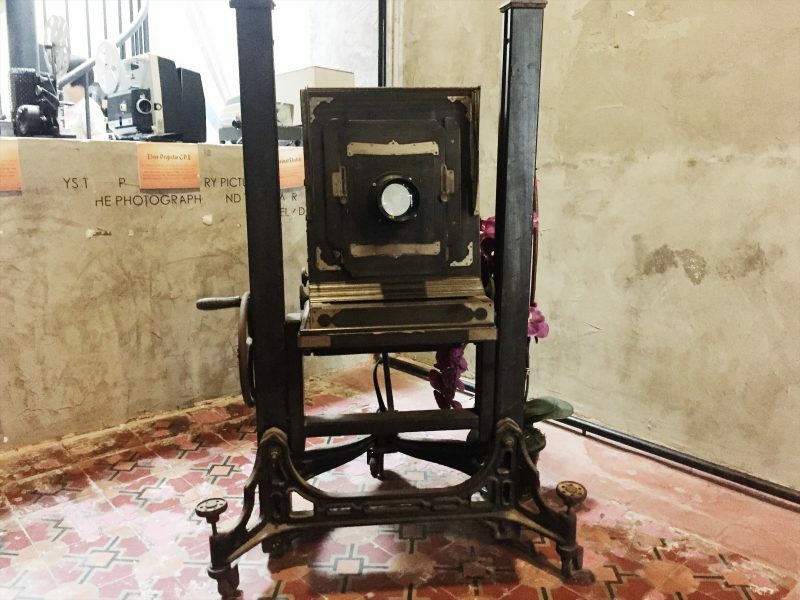 Back in the day, there are cameras that are so big, they looked more like sewing machines like this late 19th-century studio camera that I saw on display as soon as I entered the Camera Museum. 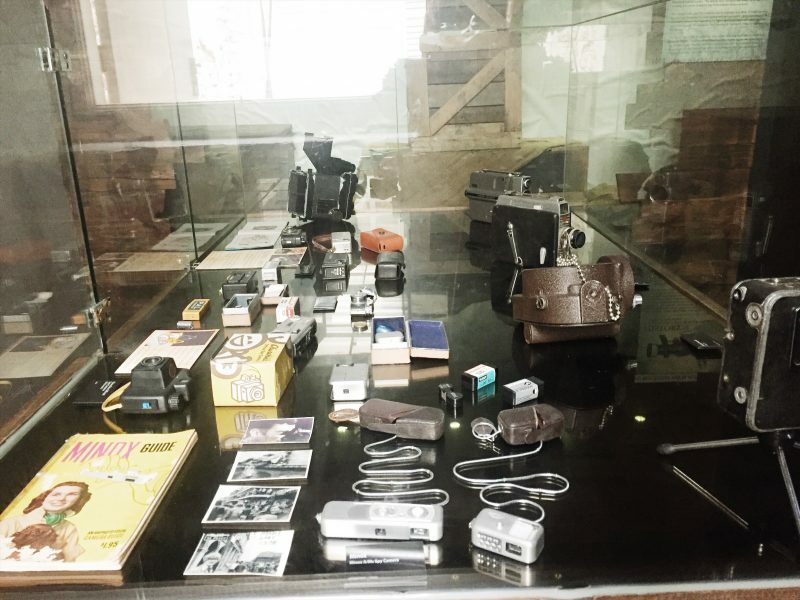 Camera Museum is located at Jalan Muntri, open daily from 9:30 a.m. to 6:30 p.m. For 20 RM (₱243.67 – $4.73), you will learn the history check out cameras of different kinds, forms, and sizes. 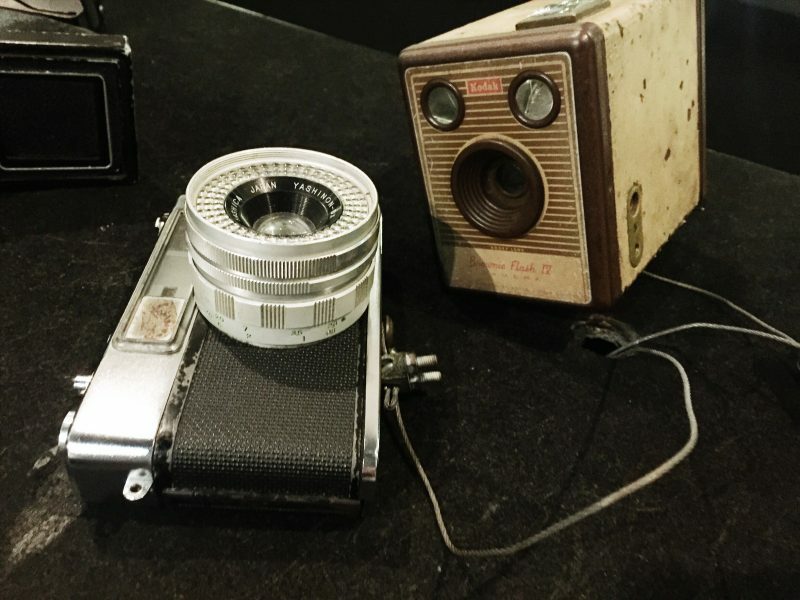 From the vintage ones like the daguerreotype camera to the most high tech like spy cams. 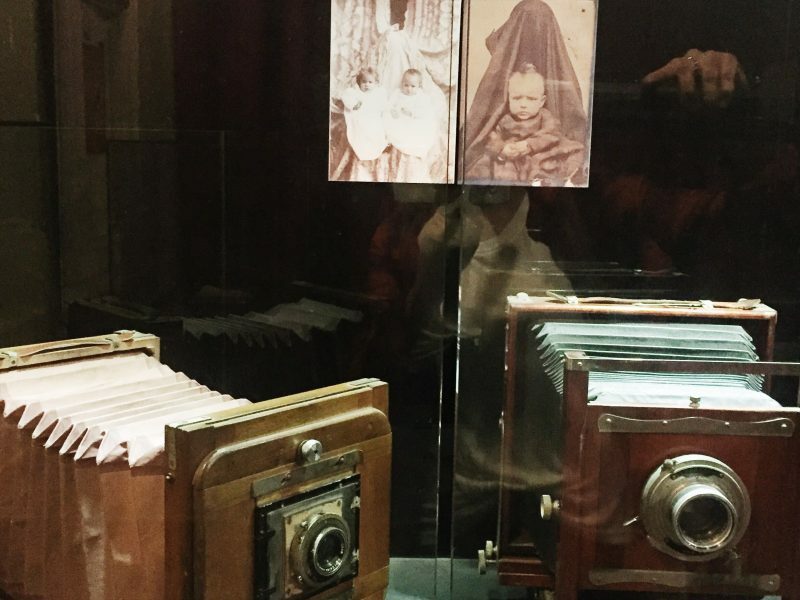 I am not a camera enthusiast but I still find the museum interesting anyway. The street art is all over the town, they are hard to miss. This is one of the major attractions of George Town and you can easily check them out on foot, with the help of a map. Click here to see the story of my self-guided street art tour. 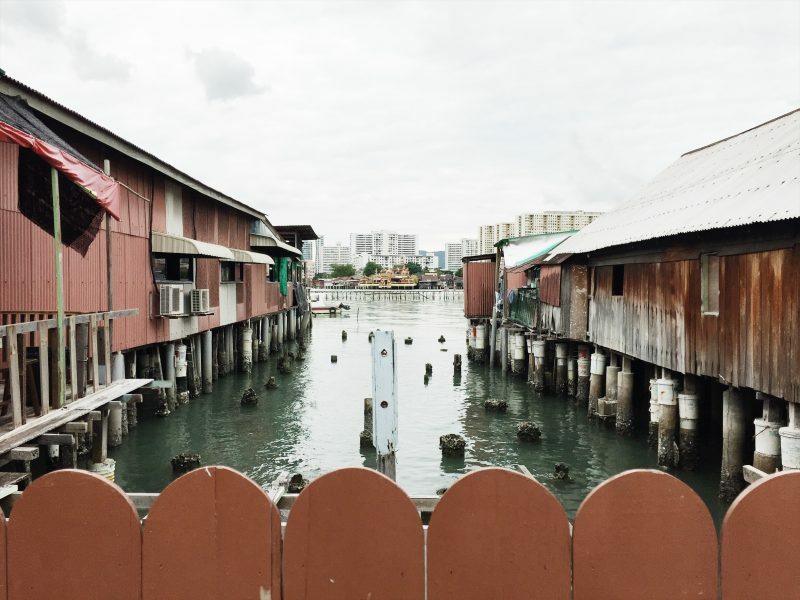 A huge part of the heritage trail is the clan jetties, the last bastions of the old Chinese settlements in Penang. These are houses on stilts, each water village is named after a Chinese clan who dominated the jetties. There are 6 of them but I only took the time to visit one the most tourist-friendly, the Chew Jetty. 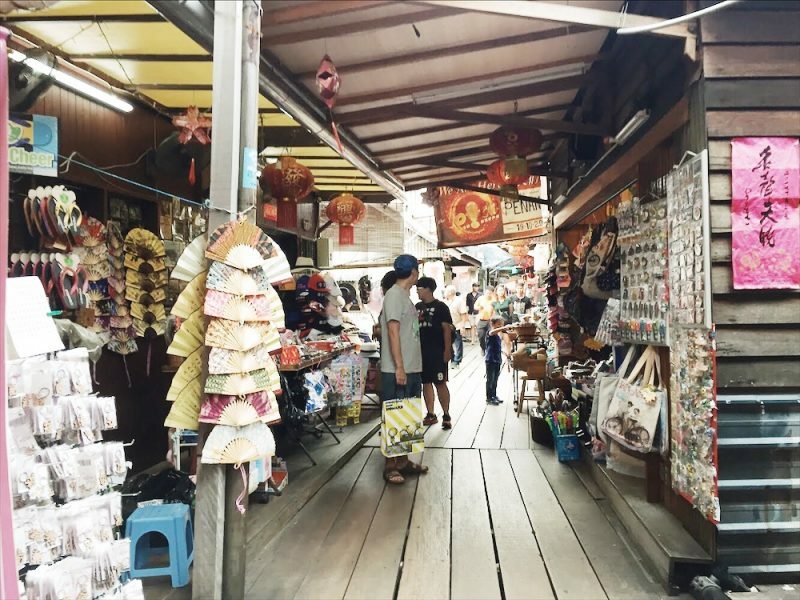 I walked over a long walkway made of planks and checked out the little shops that were built by the residents in front of their stilt houses. I thought of buying a souvenir but decided against it. There is a view of the sea at the end of that walkway and a temple. I saw the tourists busy taking pictures and the locals, selling their items. I will do you (and myself) a disservice if I didn’t find a café. 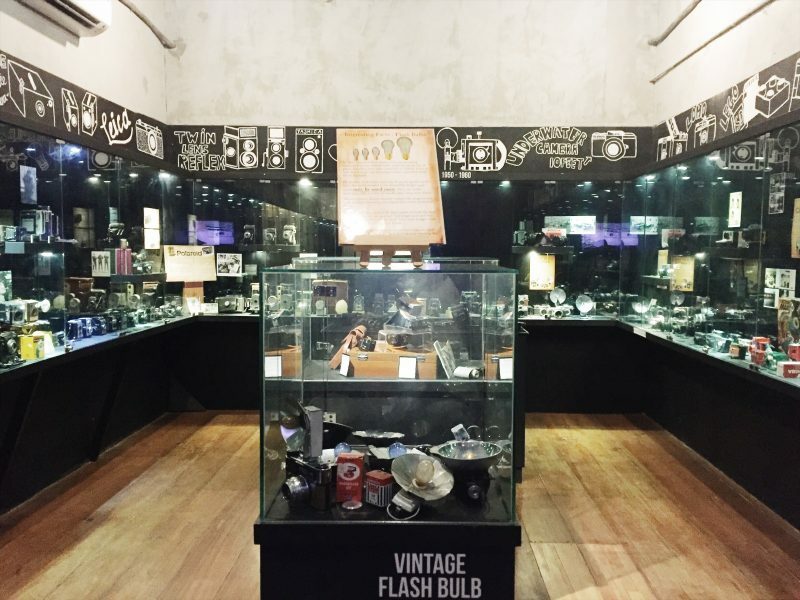 Good thing, there are many to choose from in George Town. 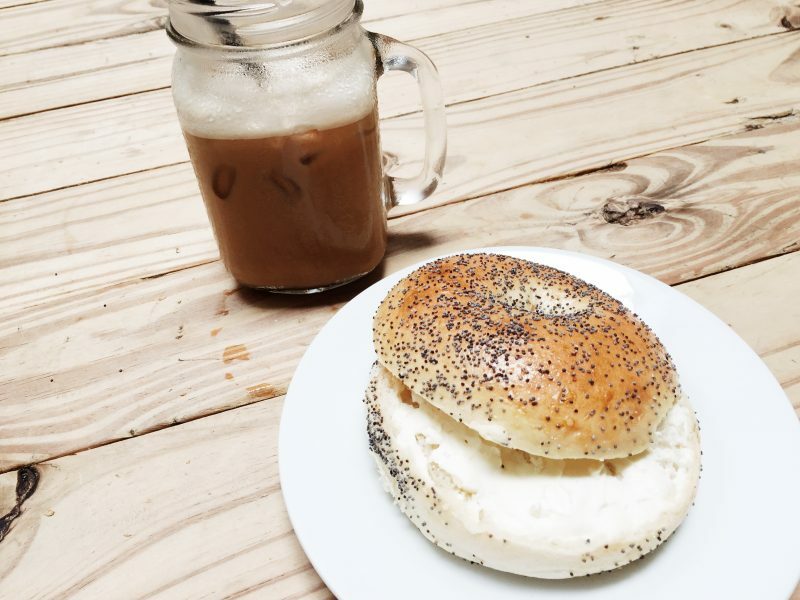 Here are the two cafés to get your fix. Cats are royalties; they do not wag their tails when you go home, they do not fetch, you can leave them in the house with just food and they will be okay, and they do not want to be pet, at least not all the time. Despite knowing their nature, I went to this cat café thinking that I would get to cuddle at least one cat; I wish. One cat almost scratched my face when I tried to reach out to it, the other cats ran for their lives when they heard me coming, a dotted cat kept trying to get to my coffee. 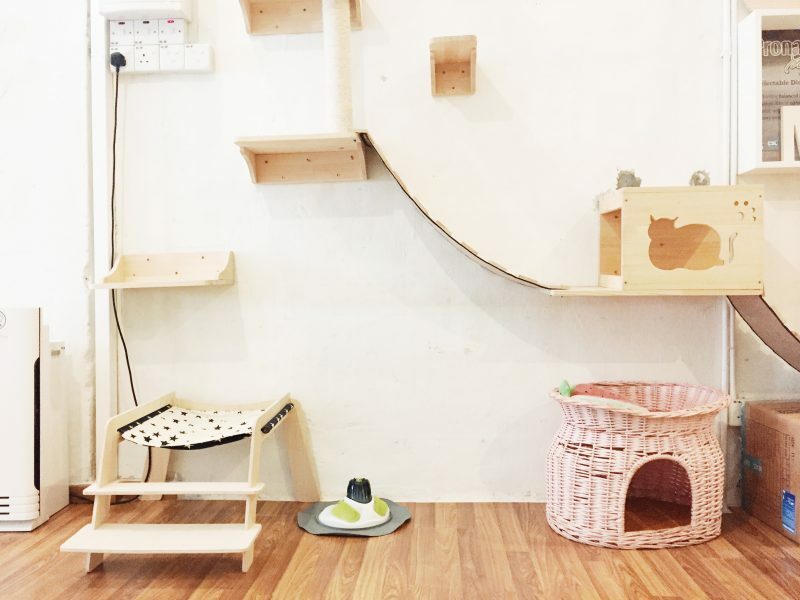 This pretty much sums up my experience at Purr-Fect Cat Café in Georgetown Penang. Purr-Fect Cat Café is adjacent to the Camera Museum and when I saw it, I thought I should go ahead and check it out. There is an entrance fee of RM 13 (₱158.15 – $3.07), but unlike the cat cafés in the Philippines, there is no time limit. I was the only customer during my visit, I should have been happy for the opportunity to be alone with the cats, but being ignored by these furry animals was no fun at all. There is only one cat I was able to pet, let’s call her Queen (not sure of its gender though). 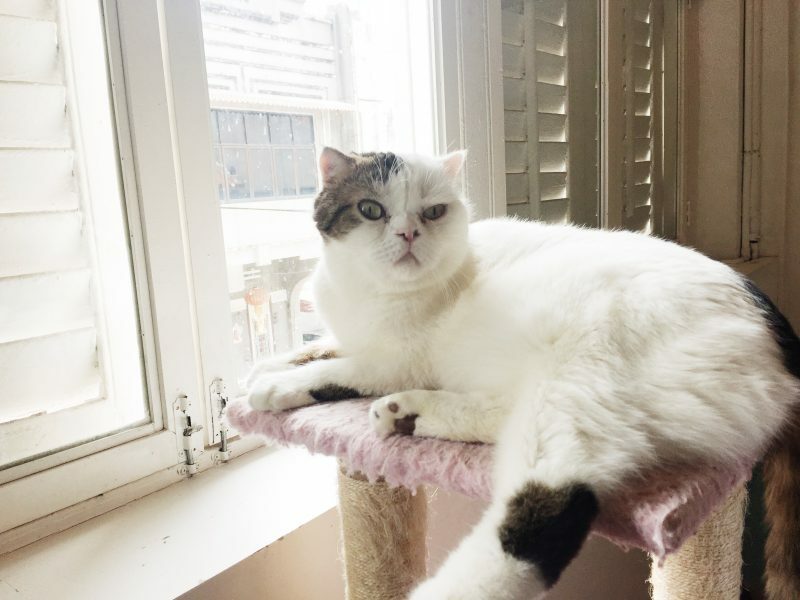 She is sitting by the window; white, fat, and furry, and doesn’t give a fudge about things. She let me stroke her, but she didn’t purr or showed any signs that she liked it. At least she didn’t try to stop me. The café is upstairs, below is their shop where you can buy items with cat designs. 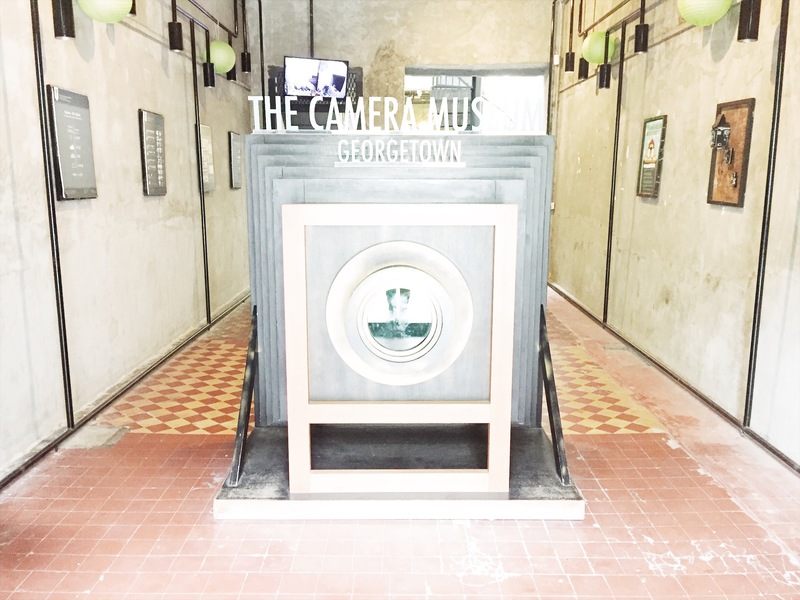 The Mug Shot Café can be found along Lebuh Chulia. It was one of those hipster cafés scattered about the city and the only one I bothered checking out, not that I didn’t want to explore but overdosing on caffeine is never a good idea. I noticed, whenever I passed by that it is always filled with patrons, mostly young foreigners armed with their laptops. Just like the other establishments, it sits in an old building but designed in a way that makes it quite appealing to the Instagram people. I love the natural light coming from the high ceiling. Their seating arrangement is communal, tables and chairs are made of hardwood. It was clearly not designed for lounging, which may explain why customers don’t linger more than they should. WiFi is available for free but I gave up after a few failed attempts to connect. My skin was damp and sticky from exploring the city, thus I ordered an iced coffee to cool down. The coffee is too bitter and remained so even when I kept adding sugar into it. To appease my sense of taste I ordered a bagel with cream cheese; I finished it in silence, not wanting to talk with anyone. I saw a few people taking pictures by the mug shot wall—hence the name of the café—after scribbling their “preferred” crime on the placard. A woman wrote arson, a young man wrote robbery, if I had the chance I would have written murder. 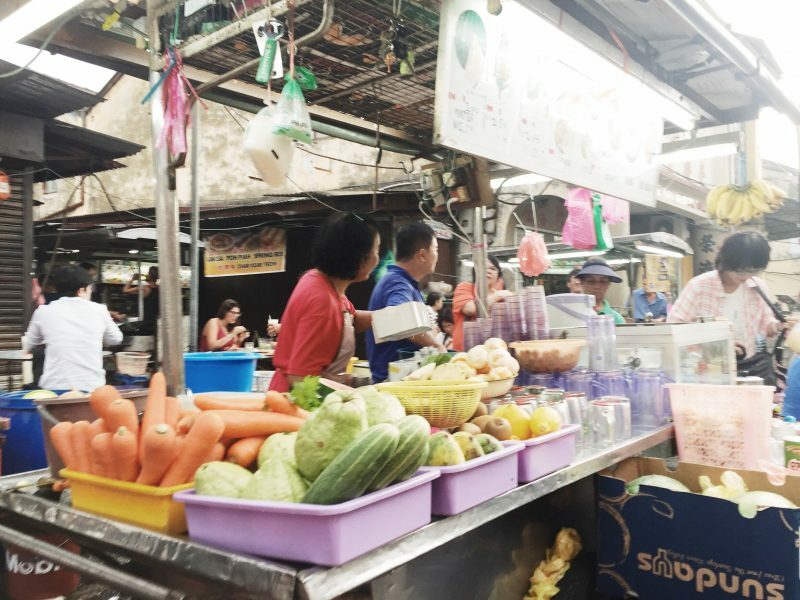 When I travel alone, I don’t eat a lot and so I was not able to go deep into the food scene of Penang, a shame as it is considered a gastronomic capital. That’s me when I’m alone, I’m lazy. 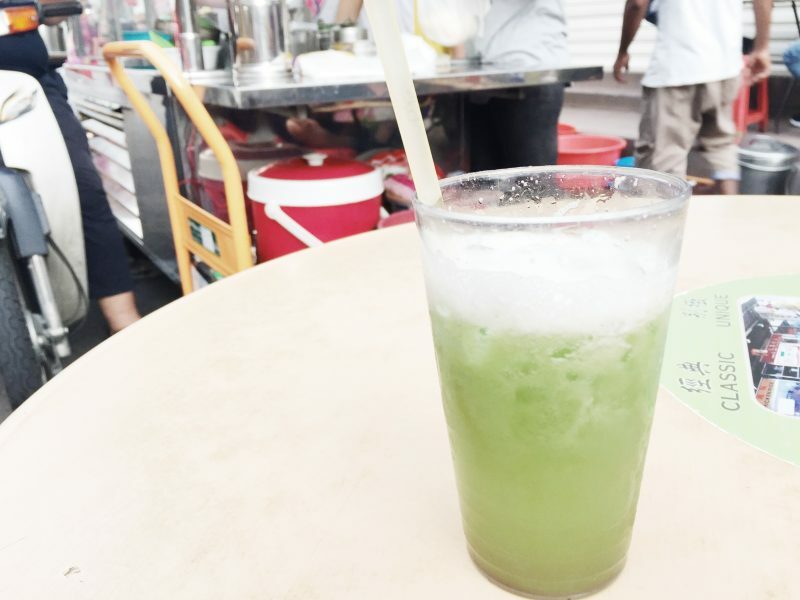 The street food market along Lebuh Chulia opens at 5:00 p.m. I practically dragged my arse out of the hostel into the street on my second day just to check it out. 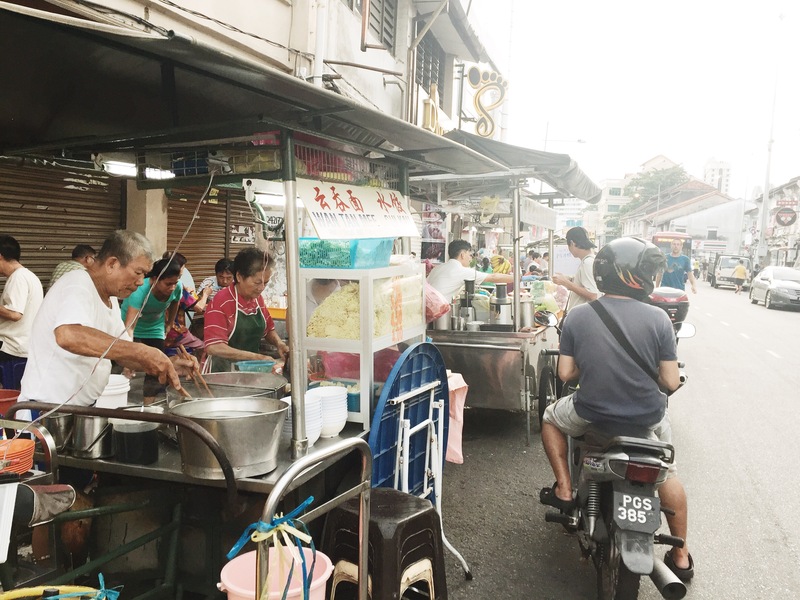 Most vendors are of Chinese descent; note that Malaysia’s demographic is composed of three major ethnic groups, the Bumiputras (Malays), the Chinese, and the Indians. 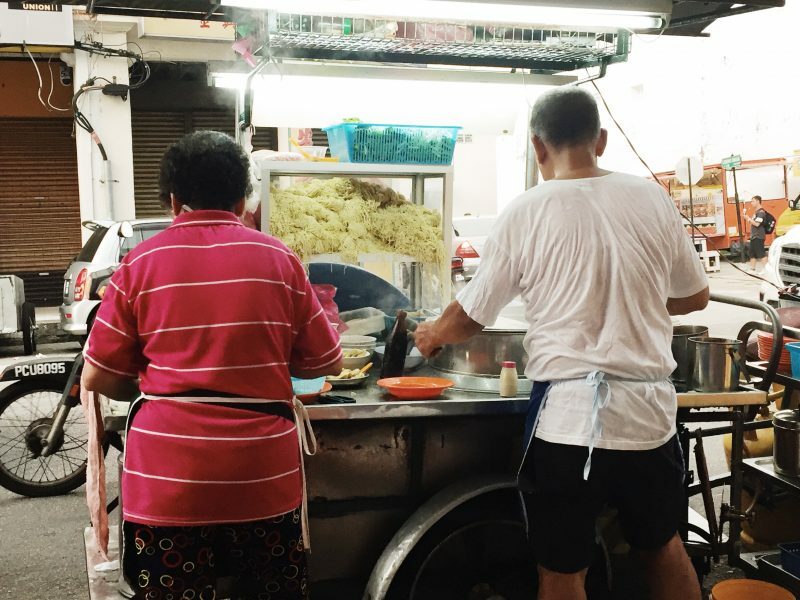 The mixture of race is greatly reflected in Malaysia’s cuisine. My appetite was low so I just ordered one noodle dish called wan tan mee RM 5) (₱61.01 – $1.18) and a glass of cucumber juice RM 2.50 (₱30.51 – $0.59). The juice is pure, no other additives, just water, and freshly pressed cucumber. 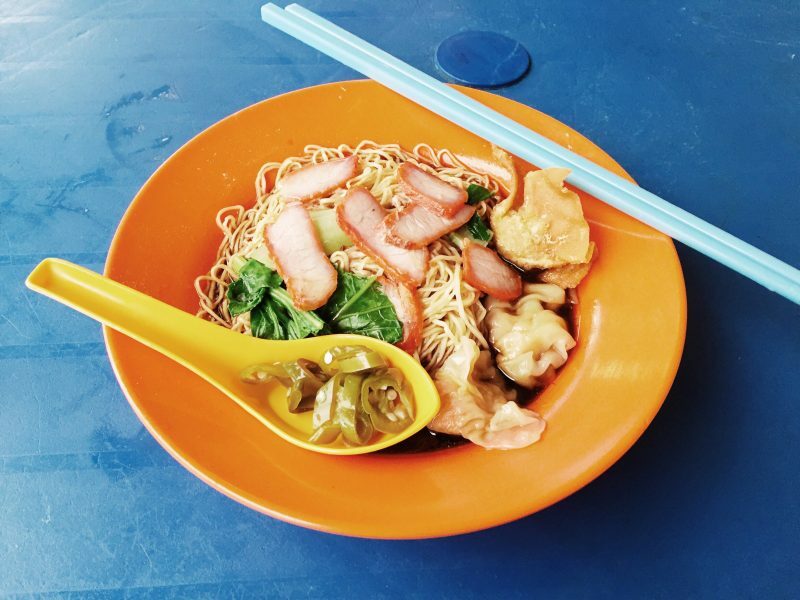 The wan tan mee, I ordered from a small stall manned by an old Chinese couple. It’s a bowl of delicious thin noodles with vegetables, pork strips, and dim sum; I loved it! When I went to Chew Jetty, I had an early dinner at CF Hawker Center. I had a clay pot chicken for RM 6 (₱73.42 – $1.42). The rice is sticky with a generous serving of chicken chunks; quite awesome. Oi tamang tama, nagpaplano akong bumalik sa Malaysia. Mukhang magandang idagdag ito sa itinerary. 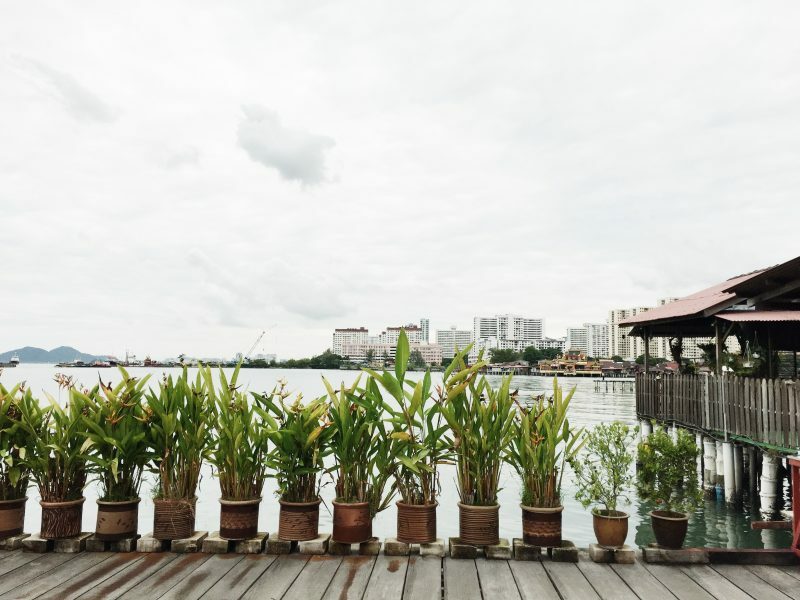 I never thought that George Town is really that interesting until I get to read your post about it. 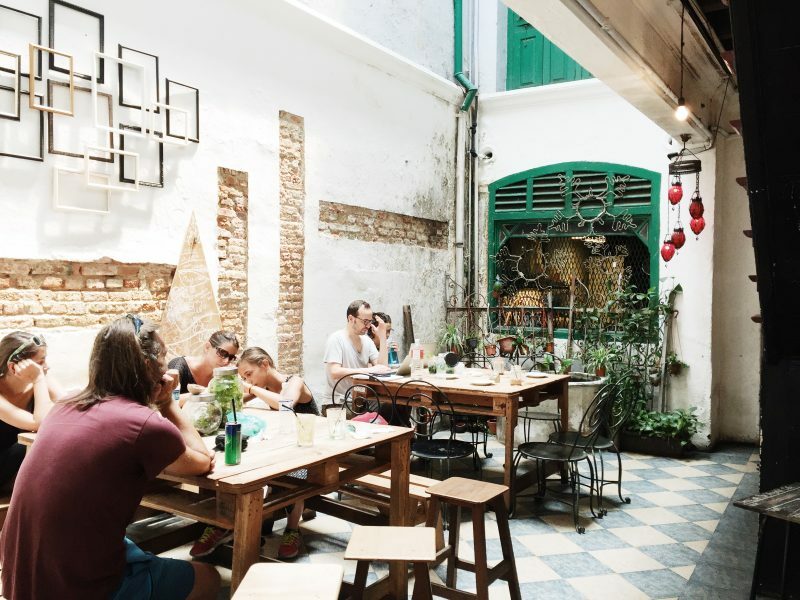 I actually got an invitation from a friend 4 years ago to visit George town in Penang, but didn’t able to make it, and now I regret that I didn’t go there. Anyway, I love the street art and the town looks like still embracing the old life, which I find it great. 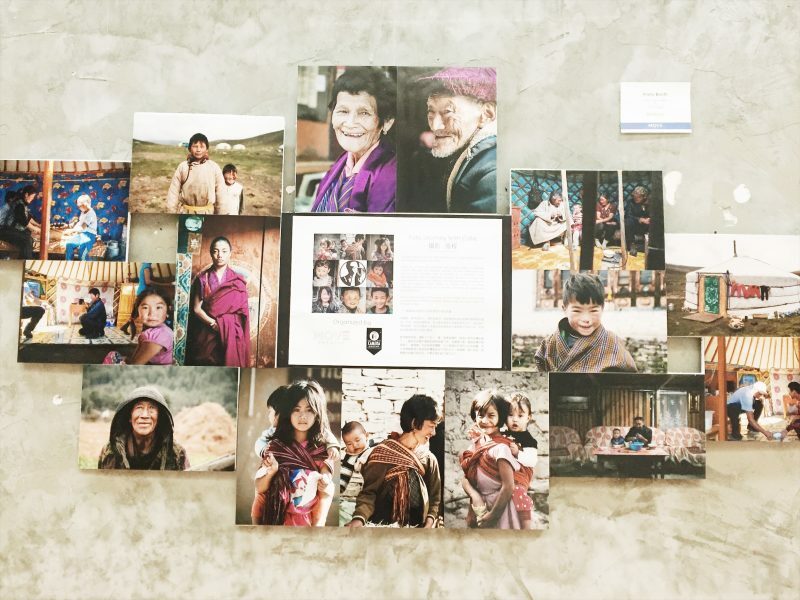 Thank you so much for sharing this travel guide with us. The street food market looks amazing in Georgetown. Quite resembles the ones that are in India. No wonder it is called the Gastronomy capital! Wow I wasn’t aware of George Town. I would love to visit the cat cafe. 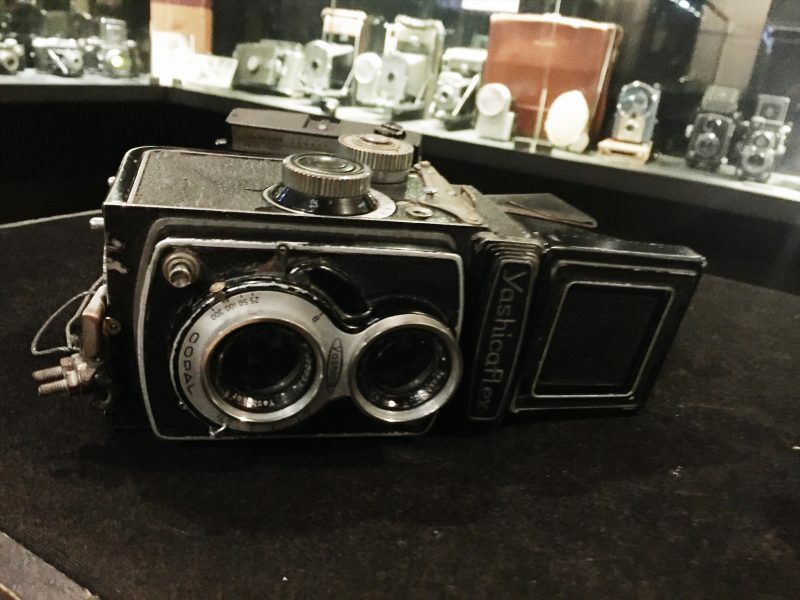 The camera museum gives a lot of detail about cameras and history and me as a photography lover would really love to visit there. I liked the photo of the two kids on the bike. 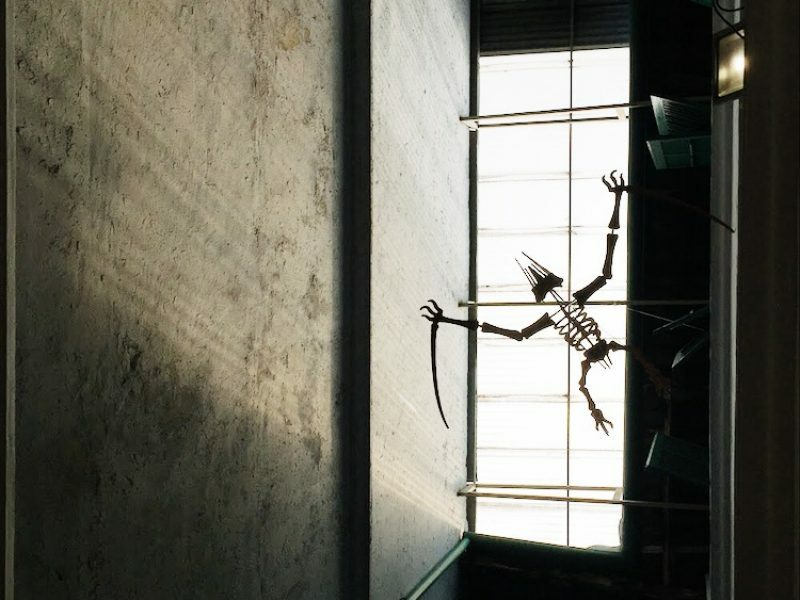 It seems so real, a combination of two-dimensional and 3-D effects. I will be traveling to Kuala Lumpur soon. My initial plan was visiting the sea nomads but i keep also in mind George town. Love the graffiti! Penang is so pretty. I am in awe of the street art. The camera museum looks very interesting too. 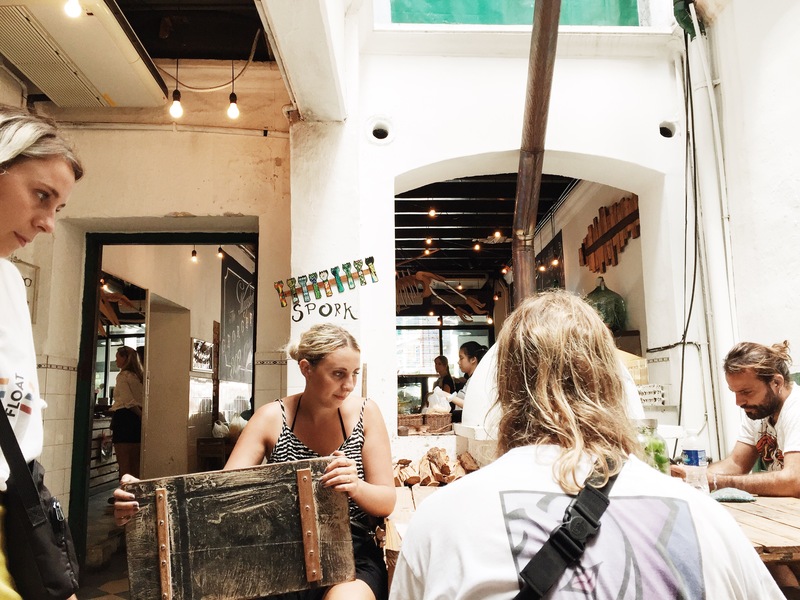 Your tips on food to eat and coffee places are useful. Will look these up when I visit ! Even Kuala Lumpur and Genting remind me of the Philippines, so I wouldn’t be surprised that Penang does too. 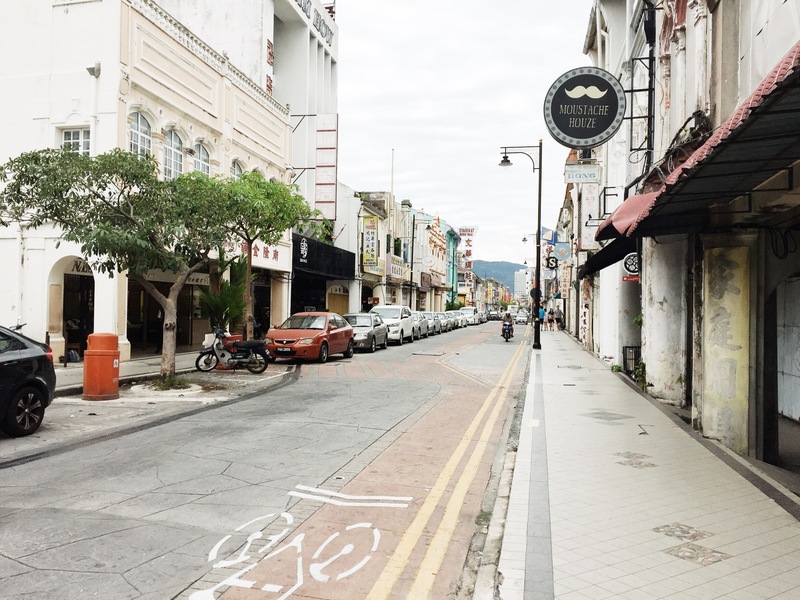 I’ve never been to Penang but I heard lots of good things about it.